Second only in magnitude and importance of state banking centers to New York, North Carolina also leads the country in production of tobacco, textiles and furniture. North Carolina sees another second-place slot for the largest state highway system in the country, coupled with another sector of transportation, the ferry system, in which North Carolina has the largest system on the East Coast. The Tar Heel State’s proximity to the Appalachian Mountains accounts for a great deal of the overall state culture – agribusiness and raising livestock - as well as some secondary tourism bringing travelers to popular destinations such as Asheville. Kitty Hawk in North Carolina was the site of the first successful Wright Brothers flight. With its picturesque landscape and majestic charm, North Carolina has always attracted many to join its motto of living “the good life”. A thriving economy enhanced by its central East Coast location and extensive transportation infrastructure within a 700-mile radius of more than 170 million U.S. and Canadian consumers. North Carolina continues to flourish and credits its thriving economy to its quality of life creating its quality of folk. A highly skilled workforce found to 36 percent more productive that anywhere else in the country. Over the past 20 years, North Carolina has transitioned from a traditional economy based on tobacco, furniture and textiles-to a global economy of today's world. In addition to its other major industries of aerospace, aviation, biotechnology and pharmaceuticals, North Carolina also has a major automotive industry and headquarters to two leading truck manufacturers as well as an extensive network of automotive suppliers. As the state continues to attract and retain automotive, truck and heavy equipment companies, the demand for truck drivers grows. Not only does this manufacturing industry require a major transportation industry in order to function, trucking is vital to the daily function of all the state's industries and its economy overall. In 2009, it was already estimated that trucks transported 91.4 percent of total manufactured tonnage in the state or 691,933 tons per day and increasing with the growing economy. Trucks also transport the essentials for the daily life of North Carolinians and its estimated that over 86 percent of these communities depend exclusively on trucks to move their goods in and out of the state. All of this has created a major transportation industry in North Carolina with over 15,182 trucking companies in the state alone. In 2008, the U.S. Bureau of Labor Statistics reported the trucking industry in North Carolina provided 211,847 jobs, or one out of 16 people and a range of truck driving positions that all earn annual salaries well above the national average. While truck drivers already have enough to ensure a good quality of life in North Carolina, they also have its trucking association (NCTA) dedicated to protecting the interests and improving every aspect of the industry as well. Always working with state and federal regulatory and enforcement agencies to influence relevant regulations, the NCTA also promotes every aspect of a safe, reliable and cost effective motor transportation infrastructure for North Carolina. 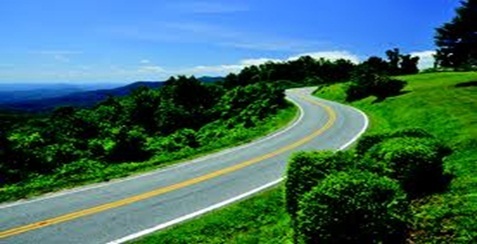 If you are a truck driver and looking to live a good life, there is no better place to be than North Carolina and the ripe time for the best opportunities is now. This state has become one of the best places in the country for available trucking positions and a wide variety of good paying jobs too. From Charlotte to Wilmington and everywhere in between, there are many openings in this state, while the cities with the most jobs currently are Charlotte, Raleigh and Greensboro. TruckDrivingJobs.com is all you need to ensure that one of these great opportunities belongs to you. Not only do we give you access to the full list of jobs across the state, our on-line application process immediately links you to the hiring employers and your foot already in the door. Below are list of companies currently hiring within north carolina. Call 828-287-5548Based out of Spindale, H & R Landscaping owns 614 trucks and primarily transports regular Flatbed & Reefer loads, Logs, Poles, Beams, Lumber, Machinery, Oversized loads such as Farm Mining or Oilfield equipment, Farm Supplies, Construction equipment. Call 252-224-3131Based out of Pollocksville, M & W Signs owns 571 trucks and primarily transports SIGNS. Call 910-891-1766Based out of Dunn, H & H Products - Cleanmart owns 792 trucks and primarily transports regular Flatbed & Reefer loads, Petroleum Gas & Natural Gas, Chemicals, Paper Products, Toxic Materials. Call 252-442-1223Based out of Rocky Mountain, Quality Auto owns 609 trucks and primarily transports Car hauling. Call 910-675-8815Based out of Rocky Point, W D Daniels Trucking owns 147 trucks and primarily transports Fresh Produce, Meat, Refrigerated Food. Call 336-764-1794Based out of Clemmons, K & D Service owns 751 trucks and primarily transports regular Flatbed & Reefer loads, Grain, Feed, Hay, Farm Supplies. Call 704-962-6931Based out of Indian Trail, B & H Steel Products owns 97,348 trucks and primarily transports Machinery, Oversized loads such as Farm Mining or Oilfield equipment, Installation equipment. Call 828-765-2424Based out of Spruce Pine, Underwood & Weld Company owns 97,210 trucks and primarily transports Dry Van. Call 336-449-9104Based out of Elon, C & B Transport owns 704 trucks and primarily transports Car hauling, Toxic Materials. Call 910-237-6221Based out of Fayeteville, F M Trucking owns 652 trucks and primarily transports Construction equipment. Call 828-697-9702Based out of Mountain Home, F & G Mobile Home Transport owns 121 trucks and primarily transports Household Goods, Mobile Homes. Call 828-342-3604Based out of Lake Toxaway, Odell Hunter Const owns 177 trucks and primarily transports Logs, Poles, Beams, Lumber, Machinery, Oversized loads such as Farm Mining or Oilfield equipment, Construction equipment, Dirt for landfills, STUM. Call 973-980-9703Based out of Ernul, D & F Trucking owns 123 trucks and transports all kinds of freight. Call 336-859-4477Based out of Denton, M & S Furniture owns 350 trucks and primarily transports Household Goods. Call 252-534-5421Based out of Jackson, T & B Farms owns 246 trucks and primarily transports regular Flatbed & Reefer loads, Petroleum Gas & Natural Gas, Grain, Feed, Hay, Chemicals, Farm Supplies. Call 910-655-3825Based out of Bolton, Ike Williams Trucking owns 735 trucks and primarily transports building materials & Sand. Call 910-858-1434Based out of Lumber Bridge, K & A Trucking Co owns 722 trucks and primarily transports regular Flatbed & Reefer loads, Fresh Produce, Meat. Call 919-242-5156Based out of Pikeville, D & B Transport Of Nc owns 505 trucks and primarily transports regular Flatbed & Reefer loads, Fresh Produce, Meat, Refrigerated Food. Call 910-653-2430Based out of Tabor City, C & H Norris Construction Company owns 243 trucks and primarily transports Machinery, Oversized loads such as Farm Mining or Oilfield equipment, Construction equipment. Call 704-739-8053Based out of Kings Mountain, C & C Scrap Iron & Metal owns 94,791 trucks and primarily transports Machinery, Oversized loads such as Farm Mining or Oilfield equipment, various metals. Call 336-835-3607Based out of Elkin, G & B Oil Company owns 94,750 trucks and primarily transports Petroleum Gas & Natural Gas, PETROLEUM PRODUCTS , Toxic Materials. Call 252-927-3539Based out of Pine Town, E J Tetterton Jr Trucking owns 503 trucks and primarily transports Logs, Poles, Beams, Lumber. Call 828-974-2156Based out of Black Mountain, S & S Specialized Carrier owns 671 trucks and primarily transports regular Flatbed & Reefer loads, Building Materials, NO LONGER HAUL. Call 910-298-4622Based out of Chinquapin, K & R Wholesale owns 997 trucks and primarily transports Car hauling. Call 252-297-6501Based out of Belvidere, W & K Cartwright owns 116 trucks and primarily transports Paper Products, SCRAP TIRES. Call 910-525-3317Based out of Salemburg, P & P Enterprise owns 644 trucks and primarily transports regular Flatbed & Reefer loads, Logs, Poles, Beams, Lumber, Livestock, Grain, Feed, Hay, Refrigerated Food. Call 828-693-7172Based out of Flat Rock, S & D Backhoe & Grading owns 383 trucks and primarily transports Logs, Poles, Beams, Lumber, Dirt, Dirt & Gravel. Call 704-982-0257Based out of Albemarle, A & W Mobile Home Set-up & Grading Service owns 203 trucks and primarily transports Mobile Homes. Call 919-877-4793Based out of Aleigh, Qadree' D Sanford owns 992 trucks and transports all kinds of freight. Call 252-331-7830Based out of Elizabeth City, B & A Trucking owns 800 trucks and primarily transports regular Flatbed & Reefer loads, Fresh Produce, Dry Van, Refrigerated Food. Call 252-523-5285Based out of Kinston, A & C Trucking owns 601 trucks and primarily transports Logs, Poles, Beams, Lumber, Building Materials, Machinery, Oversized loads such as Farm Mining or Oilfield equipment, Livestock, Grain, Feed, Hay. Call 252-225-0073Based out of Cedar Island, Quality Seafood owns 243 trucks and primarily transports regular Flatbed & Reefer loads, Refrigerated Food. Call 828-429-9663Based out of Union Mills, P Arnold Hooley owns 690 trucks and primarily transports Logs, Poles, Beams, Lumber. Call 252-792-1771Based out of Williamston, H & B Trucking owns 517 trucks and primarily transports Logs, Poles, Beams, Lumber. Call 252-492-6528Based out of Kittrell, M & W Concessions owns 195 trucks and primarily transports cooking supplies. Call 252-634-9524Based out of Cove City, T & R Transport Services owns 627 trucks and primarily transports regular Flatbed & Reefer loads, Logs, Poles, Beams, Lumber, Building Materials, Machinery, Oversized loads such as Farm Mining or Oilfield equipment. Call 910-371-3060Based out of Leland, A And M owns 240 trucks and primarily transports Car hauling. Call 336-498-2643Based out of Randleman, Fair Foods owns 715 trucks and primarily transports Cargo Craft Trailers. Call 336-752-2979Based out of Linwood, B & J Florist Supplies owns 421 trucks and primarily transports Flowers. Call 828-837-9062Based out of Murphy, F G K owns 179 trucks and primarily transports Bottled liquids. Call 828-632-6043Based out of Hiddenite, W E Walker Wholesale owns 951 trucks and primarily transports Automobile parts & supplies. Call 252-809-2005Based out of Jamesville, L & L Trucking & Logging owns 540 trucks and primarily transports Logs, Poles, Beams, Lumber, Machinery, Oversized loads such as Farm Mining or Oilfield equipment. Call 919-242-6722Based out of Stantonsburg, D & E Farm Trucking owns 413 trucks and transports all kinds of freight. Call 910-648-6099Based out of Whiteville, D & D Trucking owns 967 trucks and transports all kinds of freight. Call 704-214-2403Based out of Dallas, R & J Trucking Company owns 528 trucks and primarily transports regular Flatbed & Reefer loads, various metals such as Brass, Titanium, Copper, Iron, Building Materials, TreesS.